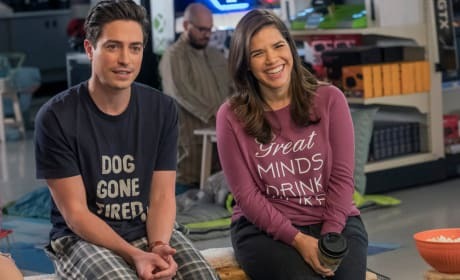 Jonah and Amy end up in a less than ideal clinic when Amy goes into labor. 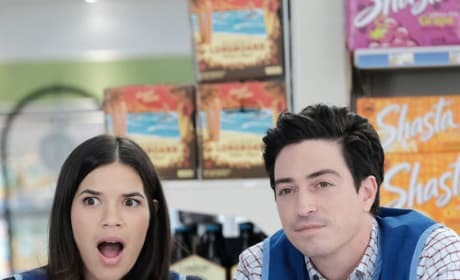 Amy unexpectedly kisses Jonah after realizing she's pregnant with her ex-husband's baby. 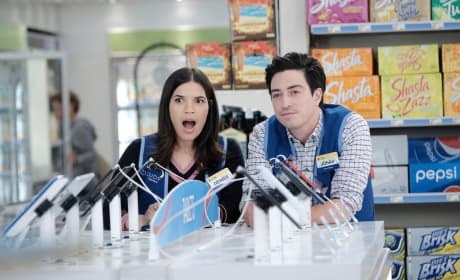 The employees of Cloud 9 try to pass the time when they are snowed in. 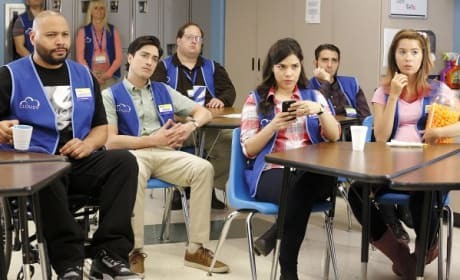 Jonah and Amy try to convince the employees to fight for Myrtle's job back. 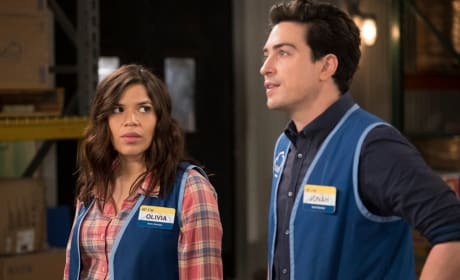 Jonah and Amy try to keep their relationship a secret from the rest of the employees. 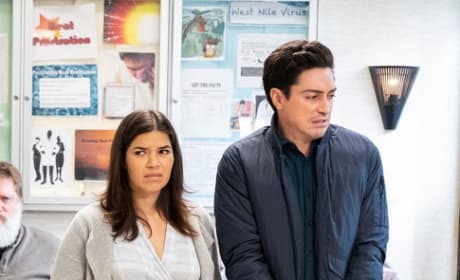 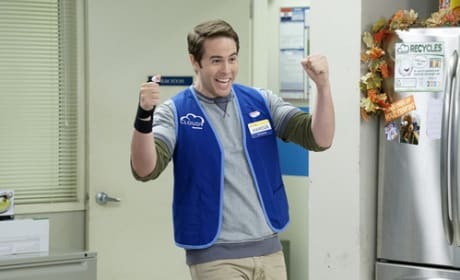 Marcus is a character on the NBC show Superstore.